Polychromed plastic and steel. 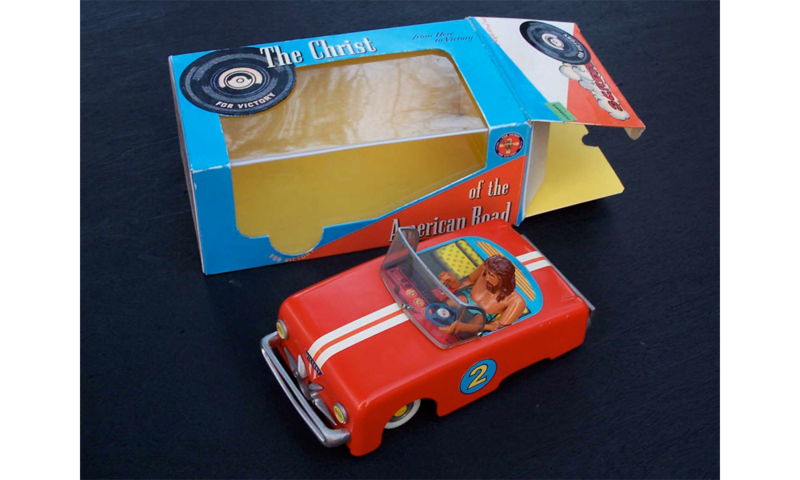 Car is made from a plastic rotary telephone body, Christ figure is from a crucifix found by a dumpster near Leon, Spain. Text on box is from an actual book titled, The Christ of the American Road, found at a recycling center in Salina, Kansas. Box is cardboard and all labels are Photoshop, inkjet on paper.